Tone and moisturise your skin on-the-go with the Beauty Formulas Sensitive Cleansing Wipes. 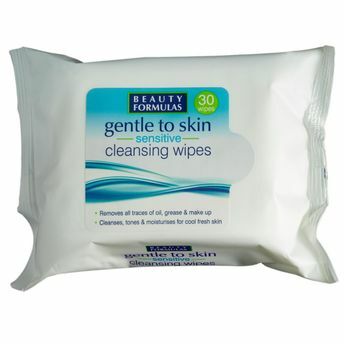 These wipes gently remove all traces of oil, grease and make-up in one step, leaving your skin fresh and clean. Enriched with Glycerin, these wipes make your skin fair, flawless and radiant. Explore the entire range of Makeup Remover available on Nykaa. Shop more Beauty Formulas products here.You can browse through the complete world of Beauty Formulas Makeup Remover .